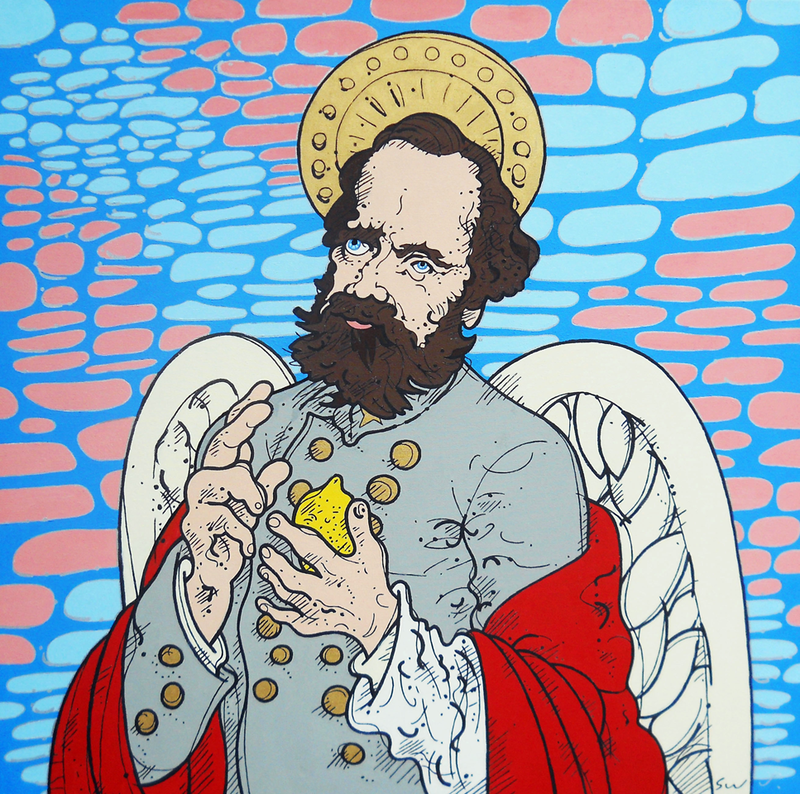 My ancestors fought in the Civil War for the North’s Virginia/West Virginia Volunteers, who had their asses kicked up and down the Shenandoah Valley by the crafty tactician, rebel mystic and symbol of “the cause”, Stonewall Jackson, here deified in Christ-pose with a heart of lemon. (Lemons were his favorite snack.) The battle flag of the secession states is subtly suggested in the stonewall clouds in the sky.